Pay only US $6.99 shipping on orders of 2 or more eligible items from kobeejapan. We love Sylvanians. My son had the previous otter family but lost the baby. These are just as cute. Thanks! 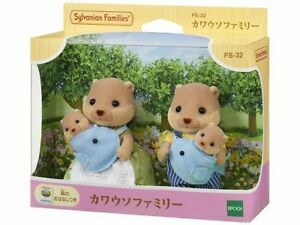 This is cutest family from Sylvanian. Otter babies so small and nice))) My daughter and I really love them. Very recommend. Great quality, arrived very fast. Adorable toys, high quality, fun to play with.